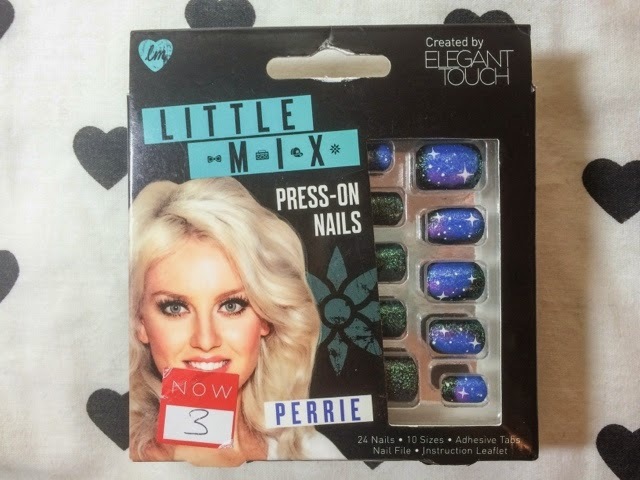 I bought these Perrie Little Mix Press-on Nails by Elegant Touch in the Christmas sale and then completely forgot about them (I’m not quite sure how as they are sooooo cool!) It was only when in New Look the other day I noticed they had the same nails on sale for £3 again and thought “they look awesome, I’ll buy them” when I remembered that I already had! I’ve blogged before about some of the Little Mix make up range and really liked the Perrie lipstick. 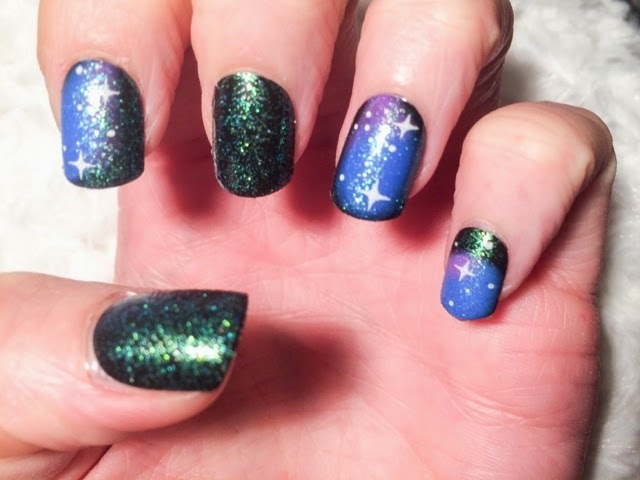 This time I’m having a play with her false nails which are this gorgeous glittery galaxy pattern. 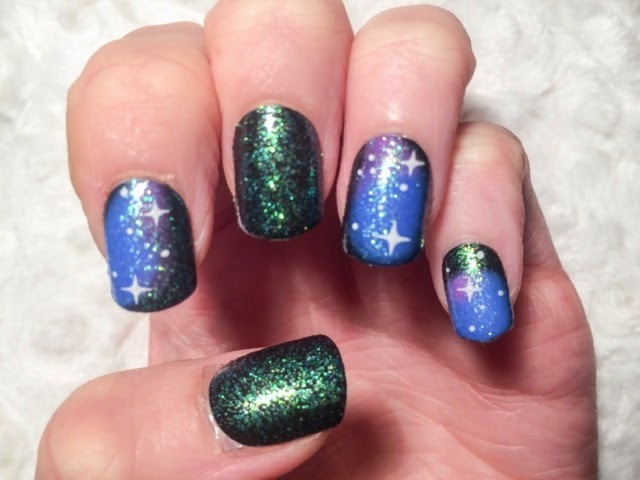 I’ve only worn false nails once before (check them out here) so was interested to see how they would compare. 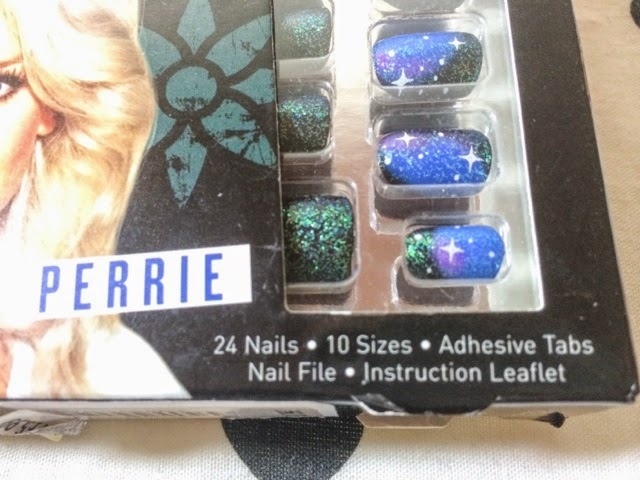 This set came complete with 24 plastic nails of various sizes and designs, adhesive tabs to stick them on with, a nail file and instructions leaflet – pretty good for £3 eh! 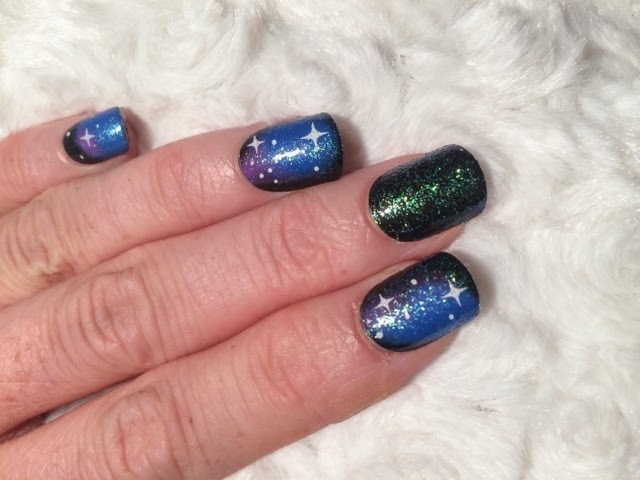 I used adhesive nail tabs when I last wore false nails, so knew what I was doing and completely planned out which plastic nails and tabs would go on which fingers, to save fiddling around when you’ve got half a hand of long plastic nails on! 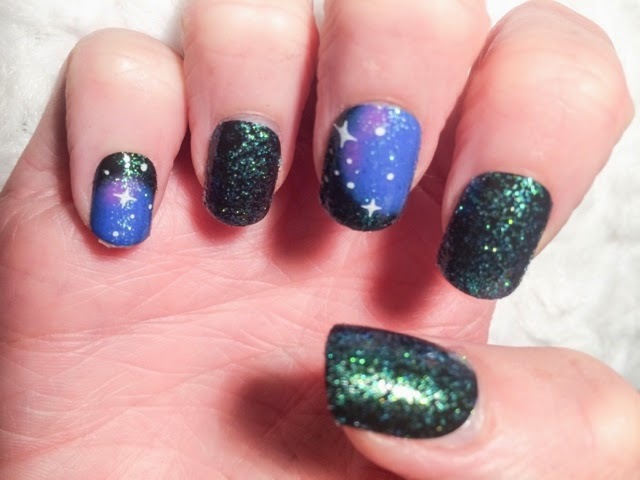 I really like these nails and think they’d be fab for wearing all year round. They’re snazzy enough for summer festivals and the colours would also work really well in Autumn / Winter time. I think I got a great bargain for £3, and even the full price of £5.99 isn’t too bad for a sturdy set of false nails which can jazz up an outfit in under 15 minutes. 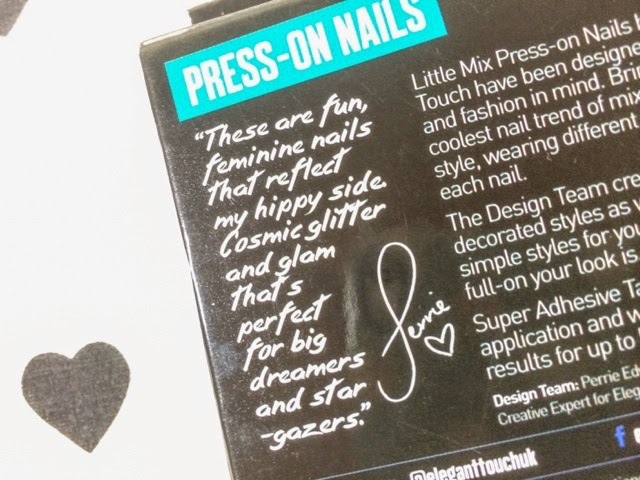 The Little Mix girls have released newly designed falsies this summer too and I definitely want to pick them up now – I’ve particularly got my eye on Leigh-Ann’s neon fruit patterned ones. 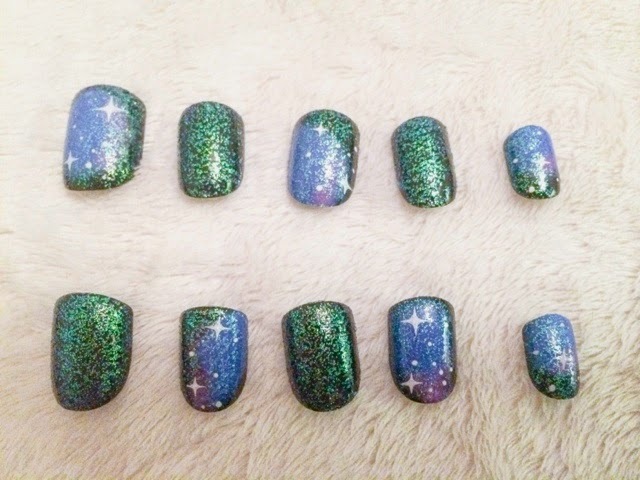 Have you tried any of the Elegant Touch Press-on Nails? What did you think?